NEW DEHLI, India – Currently India’s e-bike and e-scooter markets is still in its infancy. 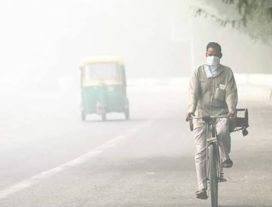 But that has to change quickly as pollution levels in cities are rising to harmful levels. India’s government is now starting to push the use of electric vehicles. It triggers companies like Okinawa Autotech to invest millions in this potentially huge market. Electric scooter venture Okinawa Autotech is to invest USD 30 million in next three years. “The investment is earmarked for network expansion, product development besides setting up a charging network,” said Jeetender Sharma, MD, Okinawa Autotech. The company has already invested USD 10m in its e-scooter business. This electric scooter maker sold 4,000 units of ‘Ridge’ model in the ongoing fiscal. Ridge was launched early 2017. Okinawa has launched a second model named Praise which targets sale of 6,000 units by the end of the company’s current financial year in March 2018. Priced at around 790 euro, ‘Praise’ is the company’s fastest e-scooter with a maximum speed of 75 km/h, travels up to 170-200 km on a single charge. It has futuristic design, LED lights, digital speedometers and fitted with features like anti-theft sensor along with the telescopic front fork & rear suspension with gas charge, robust aluminum alloy wheels with tubeless tyres. Currently India’s electric two-wheeler market is estimated to stand only at around 24,000 units annually. However, it’s likely to double in 2018 on the back of government’s electric vehicle push and rising pollution level in cities. Okinawa is also working on an electric performance motorcycle powered by a Lithium-Ion battery. The e-motorcycle is to be priced competitively at between 925 to 1,050 euro. Okinawa Autotech currently operates in India with some 100 dealers; a number that is intended to rise sharply in the next years. The company owns a facility in Bhiwadi, Rajasthan that has a production capacity for 180,000 e-scooters annually.